Our goal is to make a site where you can find not only cooking recipes, but also news and articles about culinary culture and how to eat well and healthy. 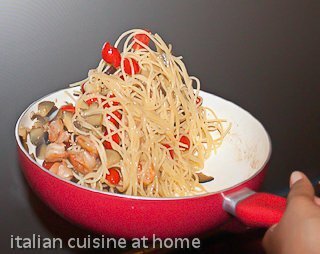 You can find also articles about the Italian cooking and Italian eating habits. For this reason we are glad to publish contributes not only of our staff, but also of people which made of the food a matter of study for increasing the life quality. Bad alimentary habits and abuse of some ingredients can create many diseases. The articles are in order of arrival. what is traditional in the Italian cooking?